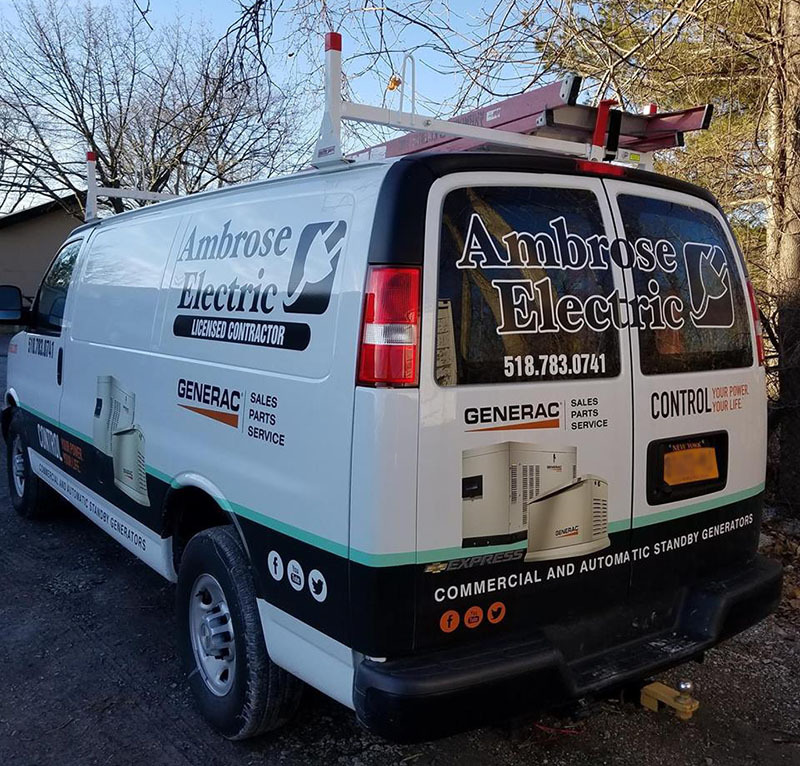 Ambrose Electric is a licensed electrical contractor providing both commercial and residential services to customers in the greater Capital Region of New York State. For over 35 years our mission remains to deliver the highest quality products and services at a responsible cost to each and every one of our clients. Our full range of services includes residential, commercial, industrial and design build projects. Ambrose specializes in lighting efficiency upgrades and we are a National Grid Energy Solutions Partner. Ambrose Electric is also a Certified Premier Generac dealer. As such we provide sales, service and installation of Generac automatic backup generators for both residential and commercial applications. We feature the full range of Generac products along with experienced factory trained service technicians.